We are legit excited about this. 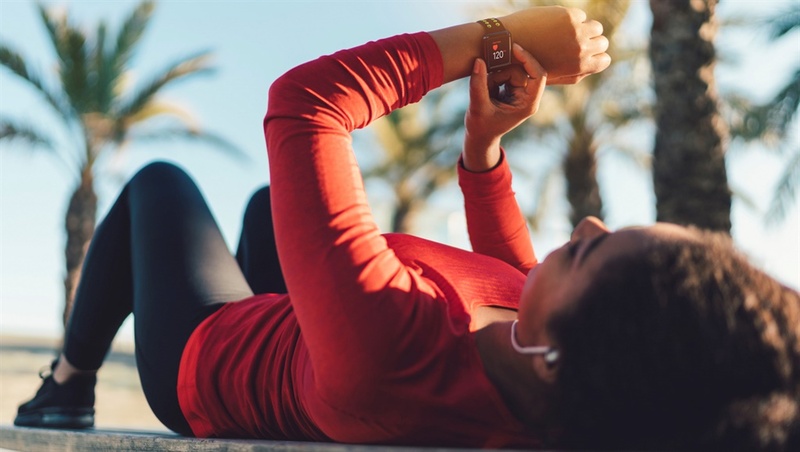 If you’re anything like us, then it’s a safe to assume you’re tracking your health online, whether it’s your running routine, calories you’re eating, counting steps, or keeping an eye on your sleep and menstrual cycle. And we bet you’re using a bunch of different apps to do it. But good news… Fitbit just announced that it’s introducing a new feature that will help you keep track of your fitness and fertility at once. Soon you’ll be able to log your monthly cycle, record the symptoms (hello, cramps) and see that data alongside your fitness stats on your Fitbit. And FYI — it’ll also give you reminders about your fertility and reproductive health, so you’ll be able to track your health trends over time (like how long your cycle usually is and when you usually ovulate). You’ll be able to keep track of this new data using the Fitbit app, or on one of the newer Fitbit smartwatches like the Ionic which was launched last year. According to a recent Fitbit survey, 80% of women did not know how many phases are in a menstrual cycle and more than 70% were unable to correctly identify the average length of a cycle, demonstrating a lack of awareness about women’s health. It turns out menstrual cycle tracking was one of the most requested features from Fitbit community. The company says many users already used separate apps to track their periods but wanted to put all their information in one convenient place. First up is the Versa and it looks SO PRETTY. This particular tracker is more like a smartwatch than your typical Fitbit, but get this… it has four days of battery life! The Versa will be available globally in April and will retail for R3 199. Then get this. Fitbit are launching a tracker that’s geared towards kids. Parents will now be able to control what they track and keep tabs on their information. The Fitbit Ace, is set to hit stores later in the year and will cost R1 499. Oh and BTW, the Fitbit Ionic is also getting a little relaunch — they’ve teamed up with adidas so you can expect to find some killer workouts with adidas athletes on this version of the fitness tracker. Don’t know about you, but we can’t wait to put these to the test.